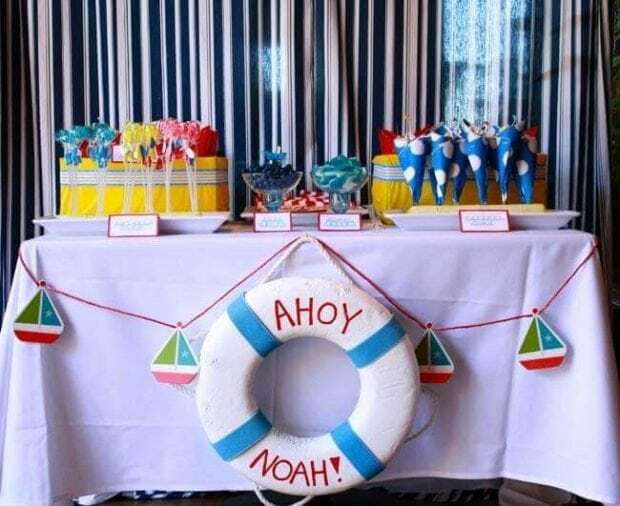 Ahoy, it’s a boy’s… first birthday party. 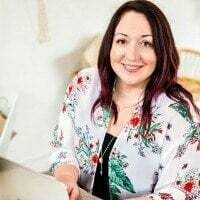 A client’s first birthday is a definite cause for celebration! 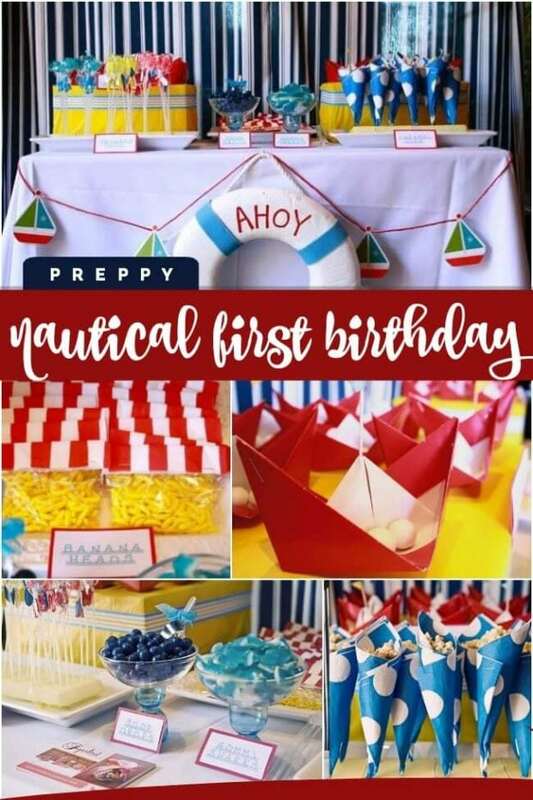 Event planner, Sugarbird, planned a nautical first birthday party loaded with preppy details in shades of blue, red and yellow. 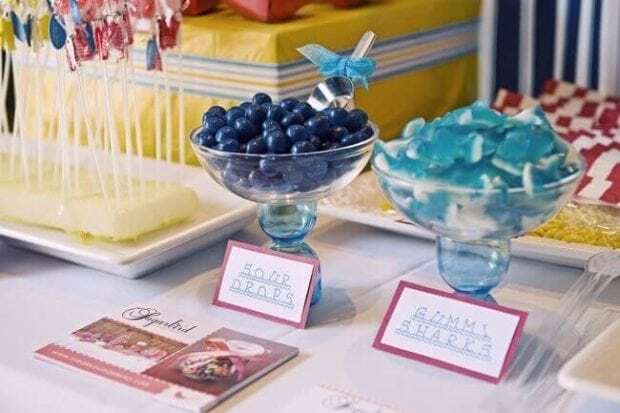 The dessert table is full of party inspiration, from nautical decorations to sea inspired treats. 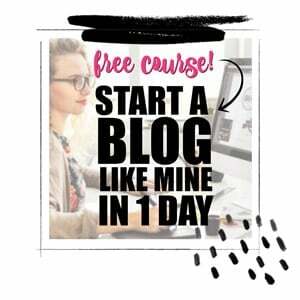 Come dive into all of the preppy details with us! Choo choo! It’s an alphabet train themed first birthday party! 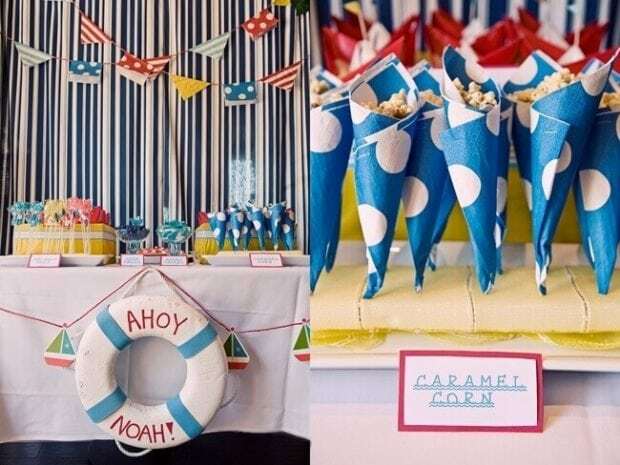 Treat guests to a circus with ideas from this boy’s circus themed birthday party. To bring in that nautical flair and preppy vibe, Sugarbird started with a navy striped fabric background for the dessert table. 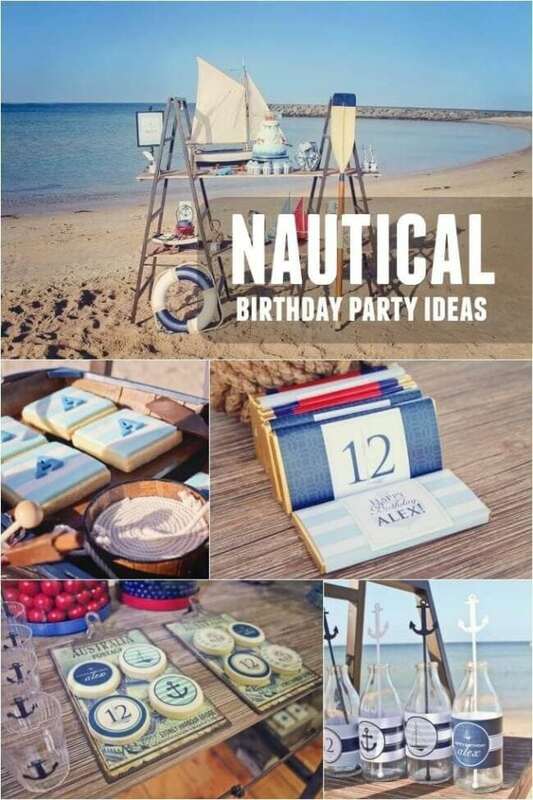 Nautical inspired pennant flags crisscrossed on the backdrop and provided nice pops of color. A simple white tablecloth was decked out with a life preserver, perfect for the focal point of the table. Darling paper sailboats were strung on red yarn and spanned the length of the table front. A variety of treats were on display, each with a printed food label for easy identification. Popcorn cones were creatively crafted from rolled-up, polka-dotted napkins. Aren’t they so cute? I love how they are displayed, lined up in rows, ready to be snagged by guests. Deep sea fish and octopus lollipops were displayed alongside jars of blue gummi sharks, sour drops and little striped-topped treat bags of banana Runts. 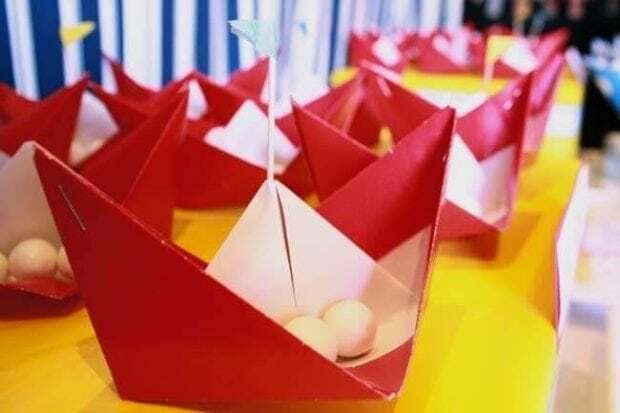 Perhaps my favorite detail from the whole party is the hand-folded paper boats, which were creatively used to house small candies. And did you notice the mini flags waving proudly from the tops of each boat? It doesn’t get any cuter than that folks!